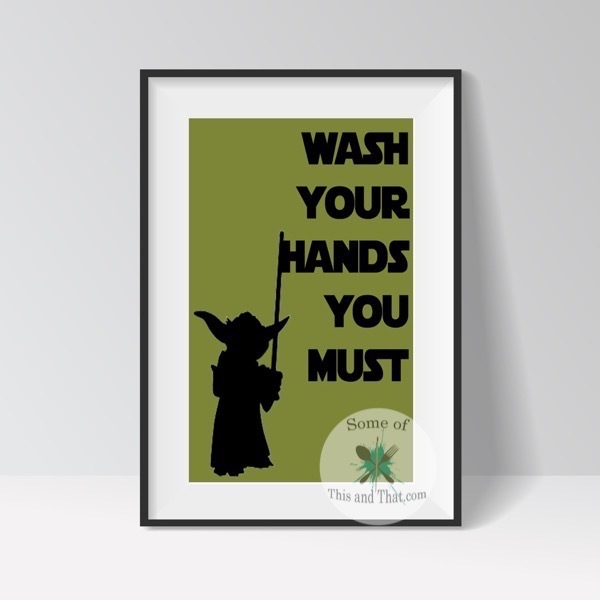 These fun Star Wars Bathroom printables are all 8×10 and can be used in a frame and hung. 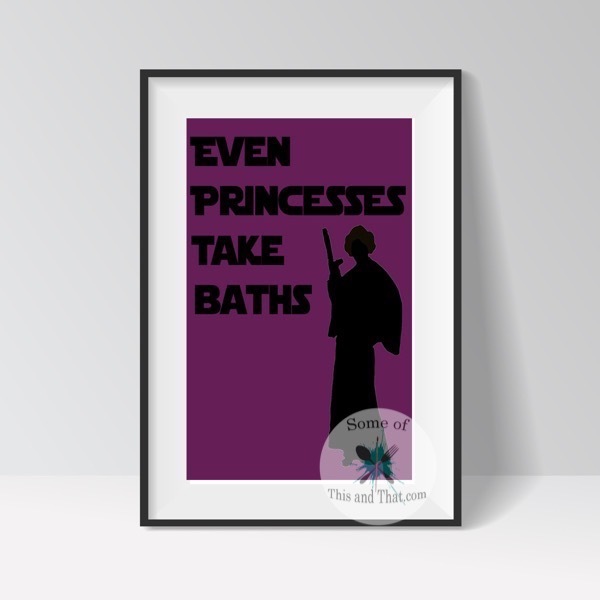 They bring just a touch of the force that keeps it classy and not overwhelming. 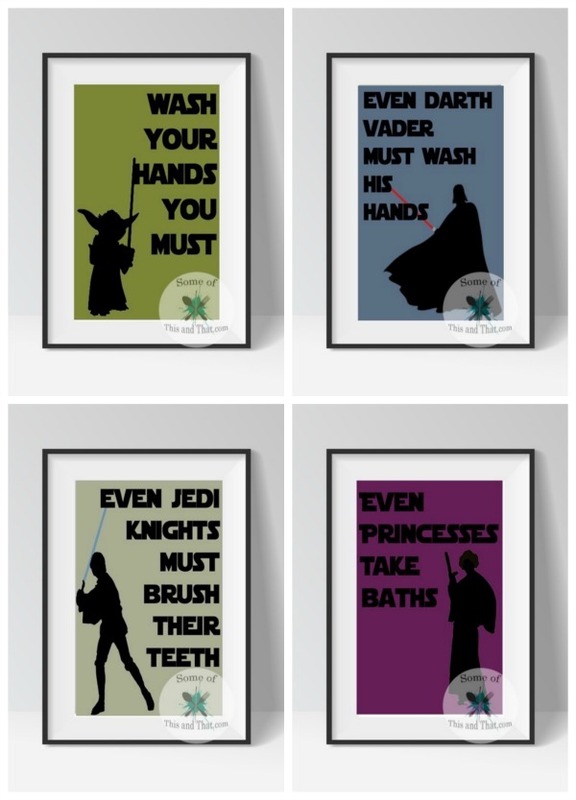 Plus, they keep kids motivated to do what they are suppose to do in the bathroom. The file you will receive will include all four Star Wars Prints in a zip file. You can print them out at home or have them printed at your favorite local drug store (I prefer Walgreens). 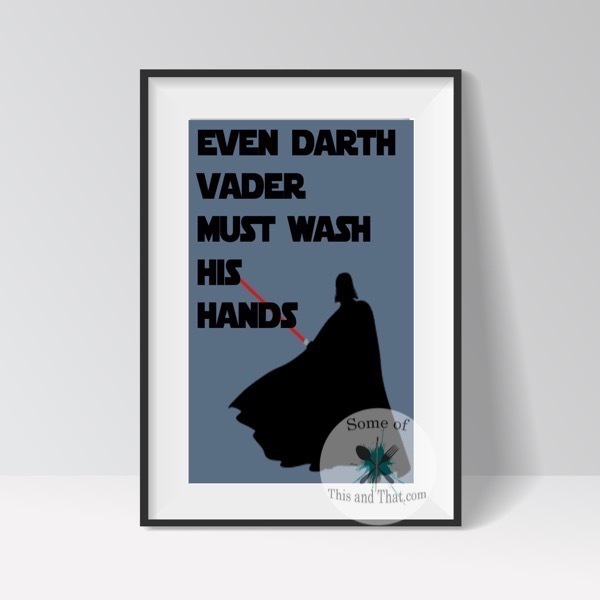 I have always been partial to the dark side of the force, I am a sucker for Darth Vader, I can’t help it. What about you? Do you prefer the dark or light side of the force? Be sure to follow us on Instagram to see just how far our love of Star Wars goes! 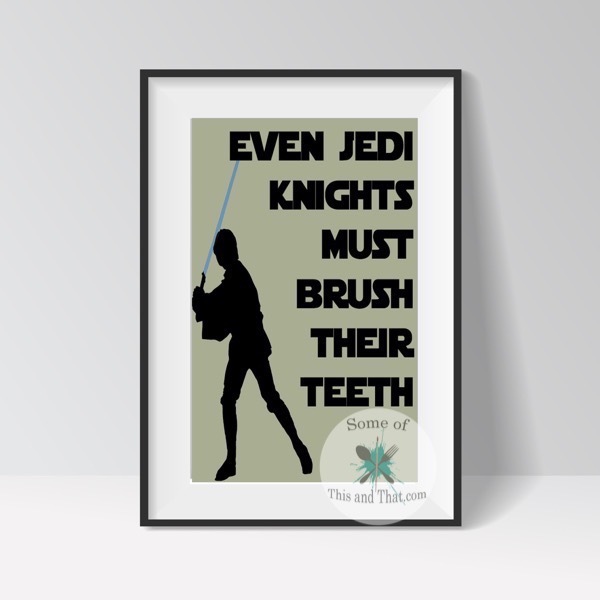 To grab your free Star Wars Printables, simply fill out the form below and hit Download! You File will be sent via email, so be sure to check your spam if you do not see it!